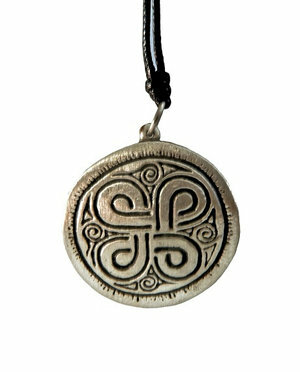 The design for this series are taken from Gotlandic picture stones. The Havor symbol is believed to be a sacred sign, used for protection. Picture stones often display magical signs, like knots, wheels, stars and crosses. They all seem to symbolize eternity, with their intertwining, ever-circling lines. The symbol is found on a 5th-6th century picture stone from Havor, Hablingbo. The stone is exhibited in Fornsalen.